On some weekends I'll be reposting tablescapes previously posted here on The Little Round Table. It's not always about dishes with me, usually....but not always. 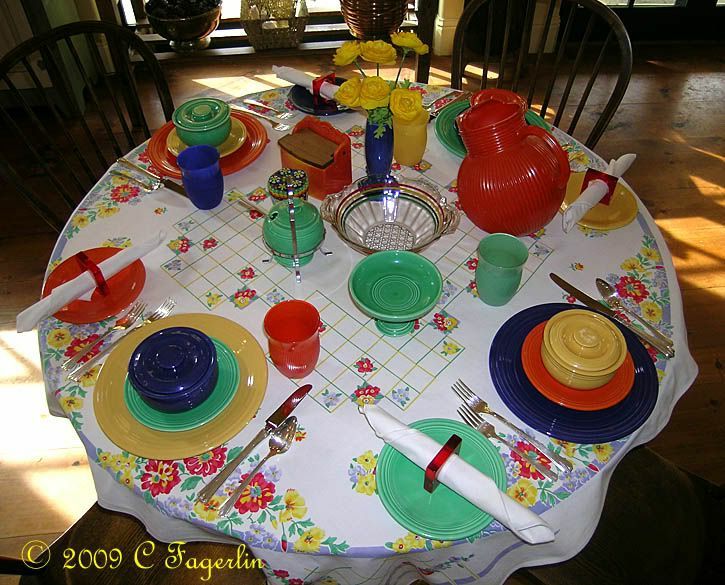 I do like my food to be brightly colored just like my dishes. 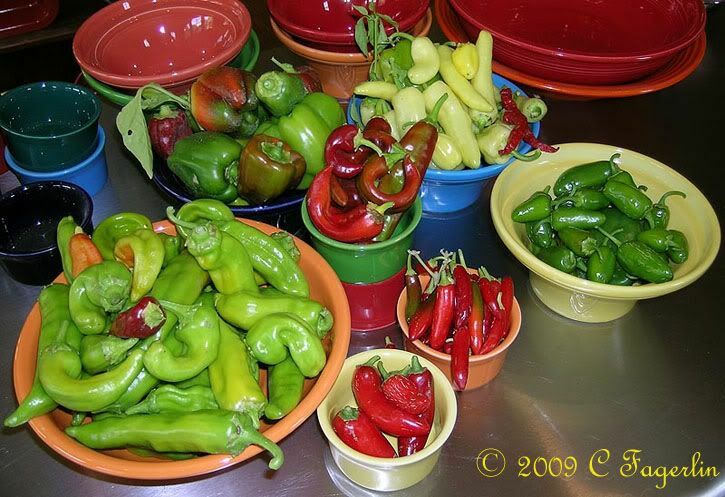 Here are some salsa makings from the garden. My salsa recipe is very flexible: lots of HOT peppers, onions, tomatoes, cilantro in whatever proportion pleases your palette. 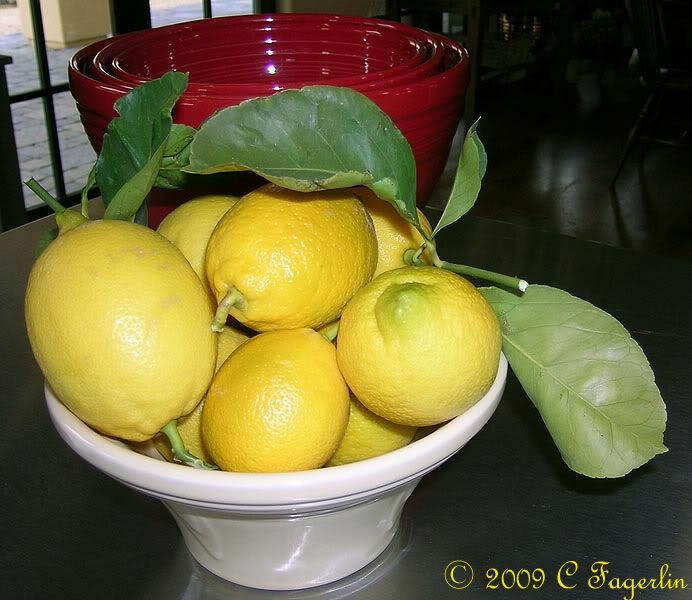 Lemons also from the garden. 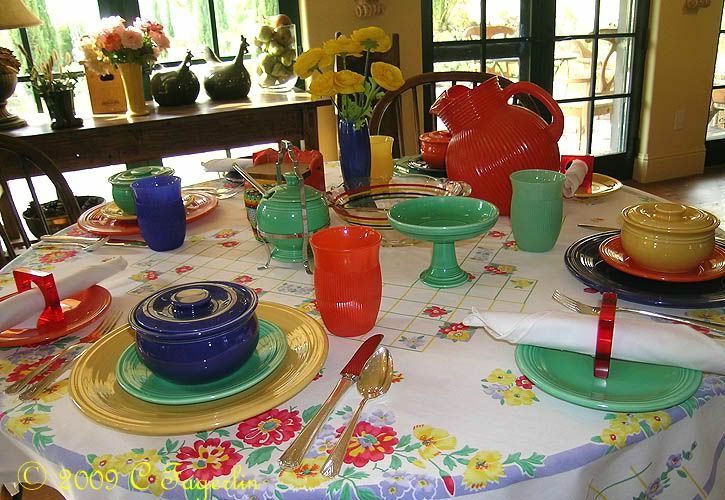 And here's today's tablescape which echoes the brightly colored foods from the garden. 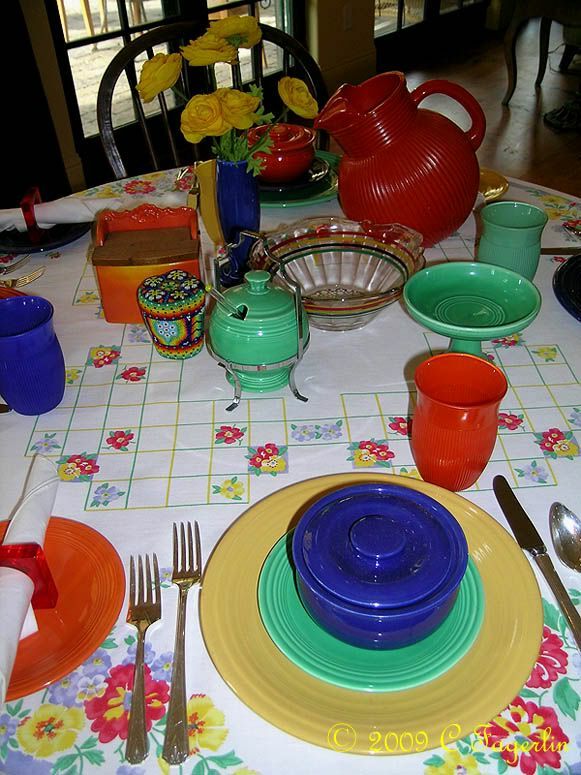 Vintage Fiesta, glass ware and Deauville flatware. Again, everything is so fun and festive! 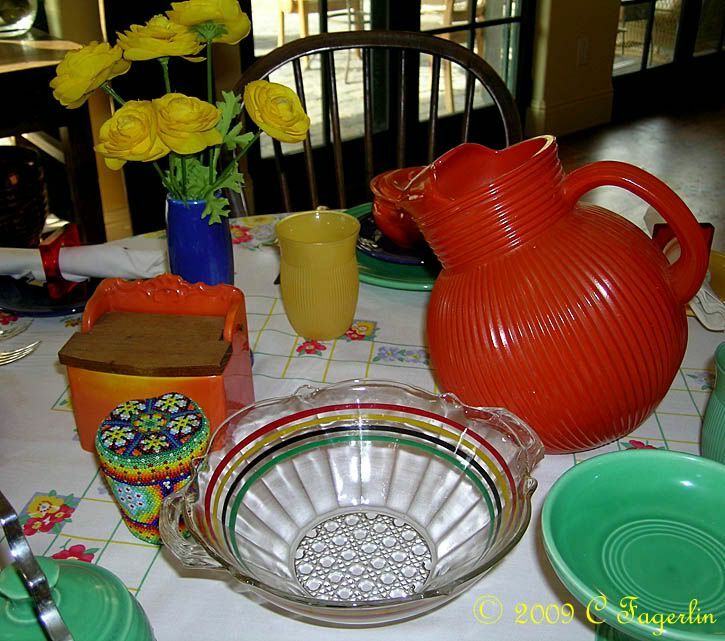 Gotta give that it up for that Fiesta ware. It's all so colorful and gorgeous. Thanks for sharing again, for those of us newbies who missed it the first time around. 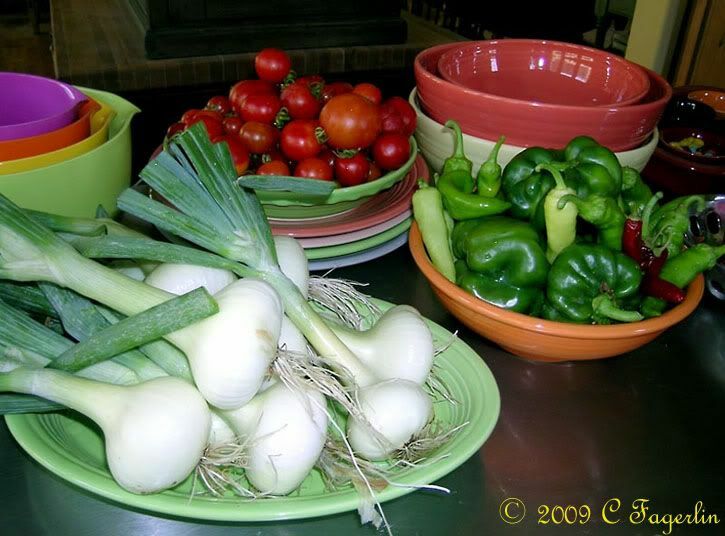 Something about the brightly colored veggies and the dishes ..... they just seem to be fated to be used together.